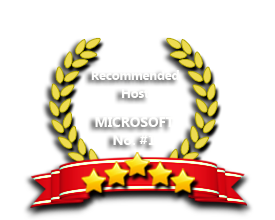 ASPHostPortal.com comes live with IIS 8 hosting on the latest Windows 2012 hosting platform. Internet Information Services (IIS) 8.0 is a free, simple and self-contained version of IIS that is optimized and available for developers. It makes easy to use the most current version of websites tools like Visual Studio and WebMatrix. Why Choose ASPHostPortal.com to Host Your IIS 8 Site? Our Windows Cloud Hosting fully supports IIS 8 hosting. You are more than welcome to try our Free Windows Cloud Hosting before you decide to buy. You can get your Free Cloud Windows hosting account up and running within the next few minutes.